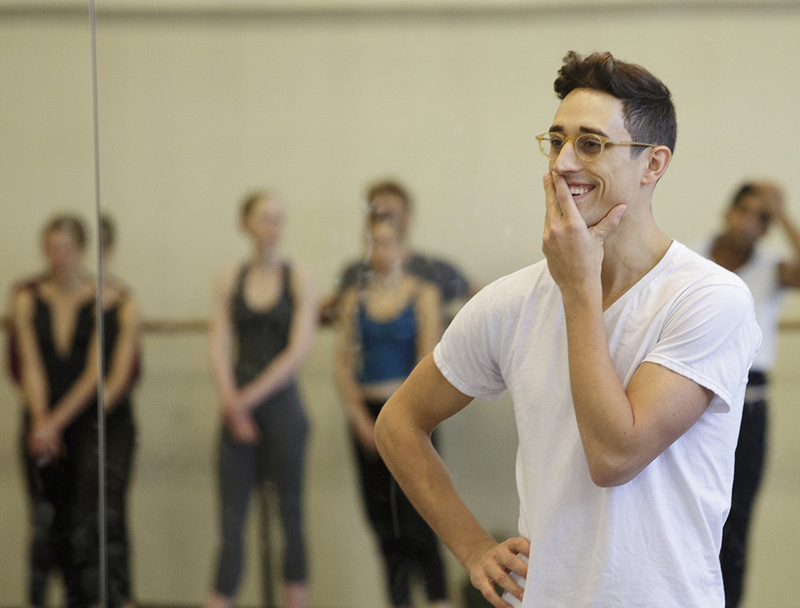 From fan-favorite Rio marking its return, to the Arizona premiere of a Justin Peck ballet, Artistic Director Ib Andersen takes us behind-the-scenes of the must-see production New Moves, that will kick-off Ballet Arizona’s 2018-2019 season! Ballet Arizona dancers in Ib Andersen’s “Rio.” Photo by Alexander Iziliaev. This season we open with our contemporary repertory ballets in September instead of March. I think it is going to be a well-rounded program. We are premiering Justin Peck’s In Creases to Arizona audiences, featuring a new work by Nayon Iovino, and I am bringing Rio back to the stage. This time Rio will stand much stronger. You have to remember that when we performed it in 2017 I had just finished choreographing it right up until we premiered it on stage. Originally, I had intended to do a ballet set to a Prokofiev piece of music and it was just too heavy for me to do at that time. So I changed my mind at the last minute and was searching for a piece of music by Philip Glass, while I was working in New York City. I had actually never heard this music before and from the very first beat it was apparent this was what I wanted to do. When he was honored at Carnegie Hall this was the piece of music he chose for his concert – “Days and Nights in Rocinha”. The ballet is about Samba and the favelas of Brazil – or how I imagine them to be anyway. I have actually never been to Brazil. The music is very hypnotic, it starts quietly, there is a lot of repetition and then just builds in intensity. We are enhancing the women’s costumes and now having more time the piece will be much more polished so I am looking forward to it. I have always wanted to feature a ballet by Justin Peck. And quite honestly it happened because we had a donor step in to fund the Ballet Arizona premiere. He wanted to see a piece by Justin Peck here and helped us make that happen. He has done so much for the company, commissioning at least three different ballets for us – first Alejandro Cerrudo, then a new work by Nayon, and now Justin Peck. We are very fortunate and grateful to have his support in keeping new works alive for Ballet Arizona. We wouldn’t have been able to do it without his help. Nayon’s new piece Inherent will be the 5th piece he has choreographed for us. You know, he was accepted into the New York Choreographic Institute at NYCB for the Spring 2019 which is a tremendous honor and highly competitive. The Institute was created to generate and support talent to generate new work. He will be paired with a composer from Julliard commissioning a new ballet to new music from scratch which is going to be a great challenge for him to achieve in just two weeks. But I am excited for him to have this wonderful opportunity. I think he has talent and it is so important for him to keep choreographing. The only way you can do that is if you have the studios, the dancers, and the time to create – and so we are making that investment in him. Even if you have talent it is not that easy to develop if you are not given the chances to keep practicing it. You need to keep doing – and that is what we are giving him. The investment is paying off, I think he is getting better with each piece. He is still very young! As a choreographer you are the only one that can challenge yourself to try and do something new and different each time. Some people stick to a formula – others can branch out and that’s what we have with Nayon. Click here to get your tickets to New Moves at Orpheum Theatre in Downtown Phoenix, September 27th-30th!